Recycle and repurpose all your electronic devices and keep dangerous components away from the landfill. It’s a well-established fact that e-waste is the fastest growing waste stream on the planet. And, because computers, mobile devices, TVs and other assorted devices contain valuable material, the temptation to extract that value at any environmental and human cost is considerable. Most organizations view electronics disposal as an afterthought. They are excited about their new systems. But what do you do with the old equipment? There is more to it than sending them to a charity or giving them to your employees. How secure is your data? How do you protect the environment? And how do you stay compliant to regulations? The increasing amount of e-waste is a main driver behind an amazing amount of growth in the electronics recycling industry that has given rise to new recycling companies, attractive trade-in programs and a thriving market in used electronics. Unfortunately, it’s also increased the opportunity to do it all wrong, at considerable costs to the environment, society and your company’s reputation. However, as complicated as it all may seem, by following a few simple rules, you can avoid making a mistake that will come back to haunt you. Get to know your recycler. The list of companies that will recycle your equipment may seem endless. In reality, the number of companies you should consider working with is relatively small. Most importantly, never, ever, ever recycle your electronics with a company that isn’t certified by either R2 Solutions or e-Stewards — or both. Avoid the temptation of working with companies that promise to work with certified recyclers somewhere down the line. Your safest route is to work directly with the recycler that has the certifications and can prove it at a moment’s notice. Using a “free” program presents two competing risks for your company. One is the temptation to cut corners by not using certified recyclers or simply moving your inventory to the highest bidder. Either scenario creates a risk that your equipment will end up in the wrong hands, possibly resulting in data breaches and environmental degradation. If you follow Rule No.1 and get to know your recycler, you’ll be able to sleep at night knowing you haven’t created a reputational risk for yourself and your company and you will get every ounce of value you deserve. Create a formal plan for disposition and follow it religiously. When building or modifying your company’s data security plan (and every company should have one), be sure to include specific protocols for disposition and, following Rule No. 1, include language that mandates the use of certified recyclers for all electronics and IT asset disposition. Follow these three rules and you’ll be able to sleep at night knowing the environment is being protected, your data is secure and the next time your boss calls, they may be calling to give you a raise. Wollaston hit the airwaves recently with Rex Perry on KFNX’s B2B Network Show. During the interview Wollaston describes ways businesses can generate a return on their end-of-life electronics and the importance of data security and sanitization. Listen to the entire interview here. 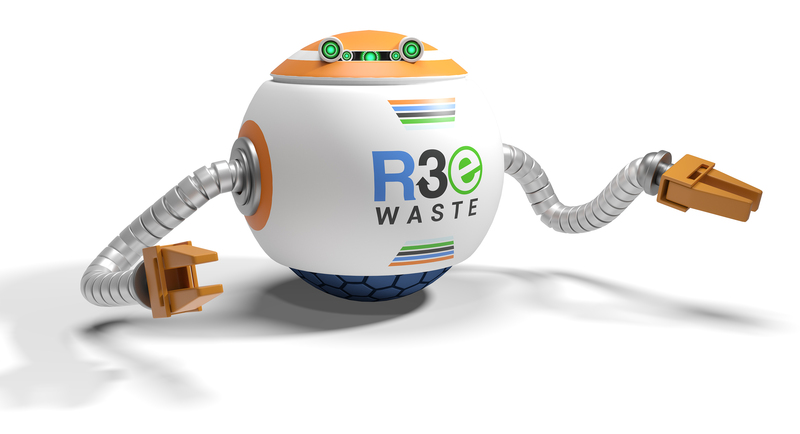 For responsible electronics recycling, contact R3eWaste today! R3eWaste is a premier electronics and technology recycling provider headquartered in Phoenix, AZ. We partner with you to ensure the responsible disposal or repurposing of your computers and electronic devices. Disposed electronics pose a major threat to the environment which is why we have a ZERO LANDFILL policy.